For act two, you have developed the nature and growing intensity of the structural relationships among your characters (their relationships based on dramatic function, such as protagonist or the Reason Archetype. Now in act three, you will turn up the volume. Each relationship should come under additional strain so that tension in the structural relationship rises. To accomplish this, you need to create dramatic moments in which outside pressures put each character’s structural role and hence the relationships among them in an increasing vice-grip. For light comedies, romance stories, and so on, structural relationship issues are often not all that crucial. In fact, overemphasizing tension based on structural relationships alone might be detrimental in particular genres. So keep an eye toward the emphasis you want for the dramatic structure of your novel, and within that scope, bring tension to its maximum by the end of the third act. Tension does not have to rise smoothly, but can lurch forward in fits and starts. Tension can rise slowly, then drop quickly in a momentary release, only to begin to rise again. Or, it can snap into place precipitously, only to gradually fade away. In fact, a single relationship might employ both of these techniques! The key is to mimic real life and the uneven nature of the stress in our lives, idealized in stories. 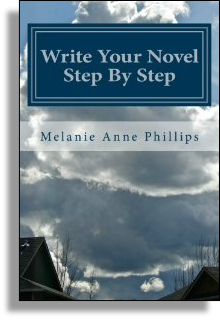 Ultimately, you will want to arrive at a set of dramatic circumstances that brings each structural relationship to the maximum stress level appropriate to your genre. That is the point at which the relationship will stand or snap - the character climax of your novel. In terms specifically of structural relationships, you have already established the kinds of situations and considerations that put each relationship under strain in the material you developed for act two. Now is the time to build on that material. 1. Spatial Summation - in which a single, very tense situation makes a large impact all at once. 2. Temporal Summation - in which a series of small situations build upon one another until the strain is at a maximum. Either approach works equally well when building tension in character relationships. 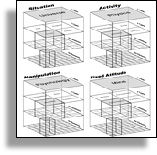 Now, for this step, develop and describe the rising tension and climax of each structural relationship based on your characters’ dramatic functions such as antagonist or Tempter.